YAMATO, KANAGAWA PREF. 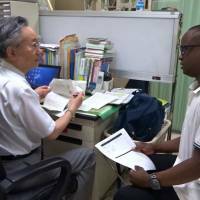 - For foreign residents and tourists who don’t understand Japanese, seeking medical attention can be stressful because few doctors are proficient in English. 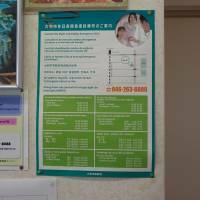 But some clinics and hospitals , including Kobayashi International Clinic in Yamato, Kanagawa Prefecture, are making efforts to help those who can’t speak the local tongue feel at home. And demand for such institutions is likely to rise as Japan looks to attract more foreign visitors in the run-up to the 2020 Tokyo Games. Yoneyuki Kobayashi, head of the clinic, first noticed the needs of foreign patients while working part-time as a doctor in the mid-1980s at a resettlement promotion center for Indo-Chinese refugees in Yamato. “That was really the first time I saw a great many foreign people,” Kobayashi said. The facility was one of three created in the late 1970s and early 1980s to accept about 10,000 refugees from Vietnam, Laos and Cambodia. 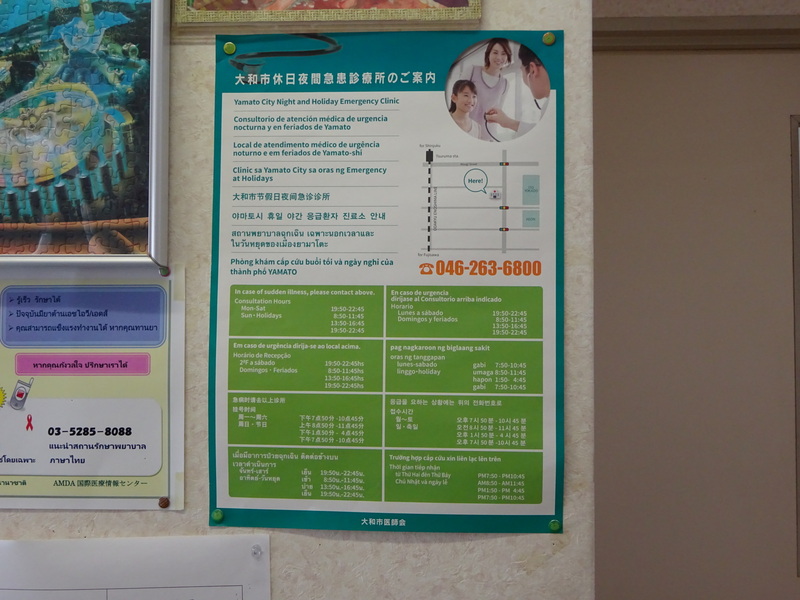 An interpreter from the center would accompany the refugees during hospital visits, Kobayashi said. “But once they left the center, they were on their own. Of course, they couldn’t suddenly speak Japanese fluently, and medical terms are different from everyday conversation, so they had trouble communicating. In some cases, the hospitals weren’t willing to examine them unless they were accompanied by an interpreter,” he said. Kobayashi then noticed that whenever foreign patients came to Yamato Municipal Hospital, they were directed to him. In 1990 he opened his clinic in Yamato, welcoming all members of the community regardless of nationality. It now has over a dozen staffers covering languages including English, Tagalog, Vietnamese, Korean, Thai and Spanish. 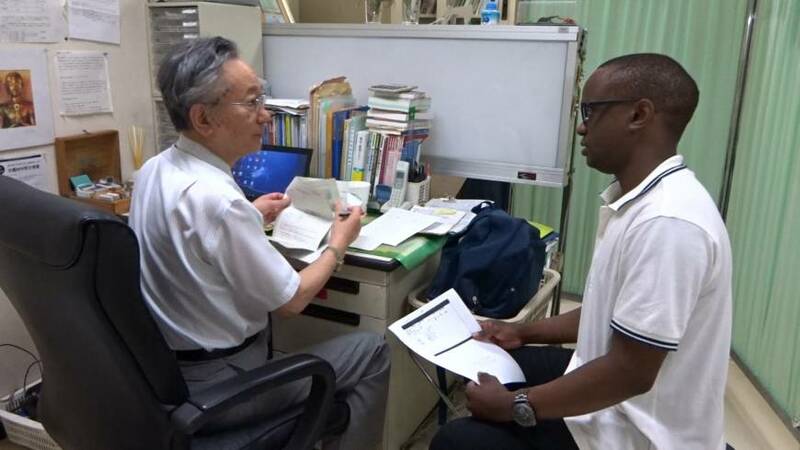 Andile Maqhuzu, a 30-year-old Zimbabwean studying in Japan, found it last year while searching online for a medical clinic with English-speaking staff after his 2-year-old son came down with a cold. “Here it’s great because the doctor speaks English and has English-speaking staff,” said Maqhuzu, who was visiting for a follow-up test that emerged after a medical checkup at his university. Kobayashi hopes more medical institutions will become willing to accept foreign patients but noted that simply getting doctors, nurses and other staff members linguistically prepared will not solve everything. “Problems could arise from differences in culture, social norms and the way people think, so they also need to be trained in those aspects so that they can be aware of the differences,” he said. As more tourists explore Japan’s countryside, hospitals in remote regions are coming up with ways to treat them as well. In Gifu Prefecture, the Japanese Red Cross Takayama Hospital is dealing with an influx of tourists seeking a combination of nature and traditional culture in the mountainous Hida Takayama area. The prefecture is also home to a UNESCO World Heritage site featuring traditional “gassho-style” (thatched roof) homes. In a telephone interview, Deputy Director Katsunobu Takenaka said visits from foreign patients ballooned from just 15 in fiscal 2011 to 363 in 2017, with patients trickling in from over 30 countries and territories including China, Australia, Taiwan and the United States. The institution set up a task force in 2014 to consider ways to welcome foreign patients, and the move caught the eye of a publisher who asked the group to put together a manual on how to treat them. Takenaka said many foreign patients suffer from illnesses triggered by travel fatigue, skiing injuries or playing around in onsen (hot springs). The hospital has some English-speaking staffers and uses a 24-hour medical interpretation telephone service that provides help in 17 languages. It also uses a tablet translation app to communicate with patients. To date, it has not received any complaints and has not encountered cases where patients could not pay their bill, he said. “People may feel lonely and insecure going to a hospital in a foreign land where a foreign language is spoken, but we will continue to stand by our patients and provide medical care with sincerity, smiles and sympathy,” Takenaka said. While most medical institutions operate based on the national health insurance system, there are some that offer services outside it. Karl Che, director of National Medical Clinic in central Tokyo, said he deals primarily with the expat community, allocating ample time to each patient. Many who come to him have private health insurance, but there are a few who are covered by the national insurance program and pay out of their own pocket. “We try to offer them whatever they’re very comfortable with,” said Che, who is fluent in Japanese, English and Korean and speaks some French, adding that he takes his time with each patient and offers a familial atmosphere. In the same posh Minami-Azabu neighborhood, Isao Tsutsumi said he drew on his experience working at hospitals and clinics in the U.S. for 15 years to open Hiroo International Clinic in 2007. Tsutsumi said patients come all the way from places like Fukushima and Yamanashi prefectures to see him.